One of the layers of modified leaves that make a flower; a complete flower has four whorls: sepals, petals, stamens, and pistil(s) from base to top. 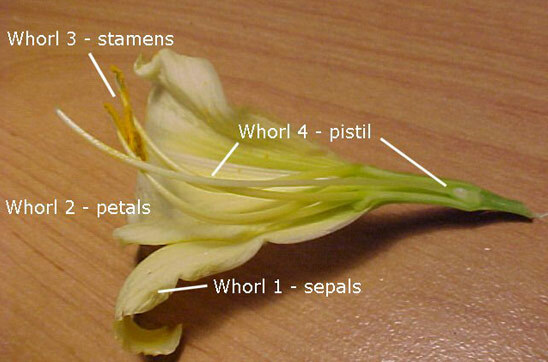 See also: sepal, petal, stamens, pistil. 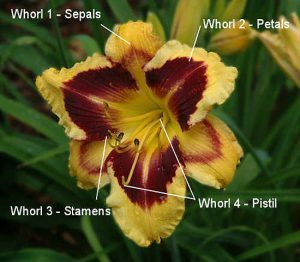 Daylily flower with some petals and sepals removed to show the four floral whorls. 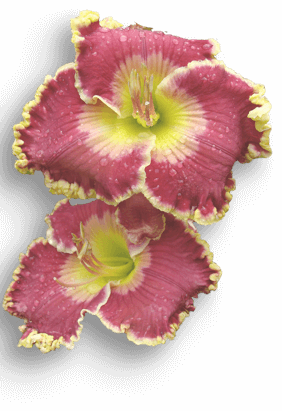 Frontal view below.